The following diagram shows an example of the Two-Tangent Theorem. Scroll down the page for more examples and solutions. 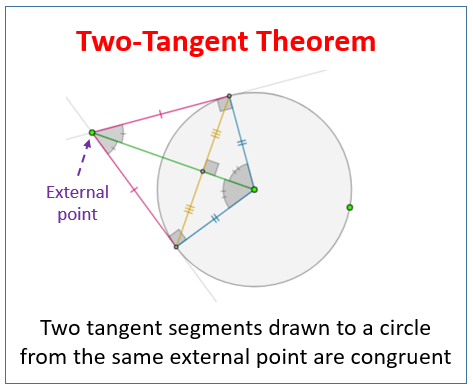 Proof that two tangent segments to a circle from the same external point are congruent.